Wedding beer steins and Nuernberg bridal cups make a great gift for the bride and groom. A unique gift they will cherish and is sure to become a family heirloom. 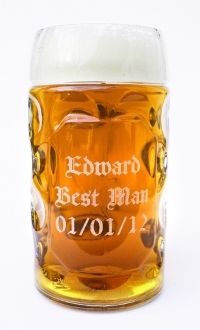 Visit our Unique Groomsmen and Wedding Gift Ideas page for a large selection of German beer steins and German gifts including custom engraved glassware. 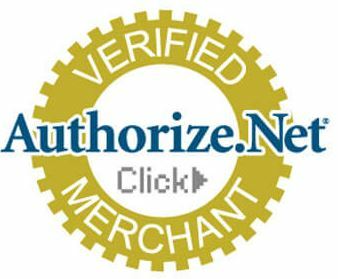 Our laser engraving allows us to personally etch names, initials, dates, sayings, and even entire company logos with the highest levels of precision possible. Custom engraved German steins make great gifts, and can serve as a perfect addition to any special festival, wedding party, or other important event. Looking for a great way to commemorate your bridal party? Look no further than Germansteins.com! Our glassware products are available for custom engraving, and make for a perfect addition to any respectable bridal party. Custom engrave your bridesmaids’ and maid of honor’s mugs with names, initials, sayings, or whatever else you like! Our laser engraving process is affordable and allows us to achieve the highest levels of precision possible! Help make your wedding day a day to remember, and mark your special occasion with a custom engraved mug for all the members of your upcoming bridal party today! There is no better way to commemorate your wedding day with all of your buddies than over an ice-cold brew. Sit back, crack one open, and enjoy it out of a custom engraveable beer mug from Germansteins.com! We have a large selection of customizable German beer steins to choose from, and we can laser engrave almost anything you desire on each of your Groomsmen’s mugs! These personalized beer glass make a great way for your friends to remember your day long after the ceremony is over! Instead of just getting a personalized mug just for your bridal party or groomsmen, why not go all out and check out our custom engraveable glassware for entire wedding parties! Not only are our matching steins classy in appearance, but they make great souvenirs from your wedding day that the bride and groom’s closest friends will cherish forever. They make great props for your wedding photos, and provide your posse with an upscale way to consume their favorite beverages, rather than guzzling them out of a traditional bottle or can. To order custom beer steins for your groomsmen, bridesmaids, or entire wedding party, be sure to check out our custom engraving options today!